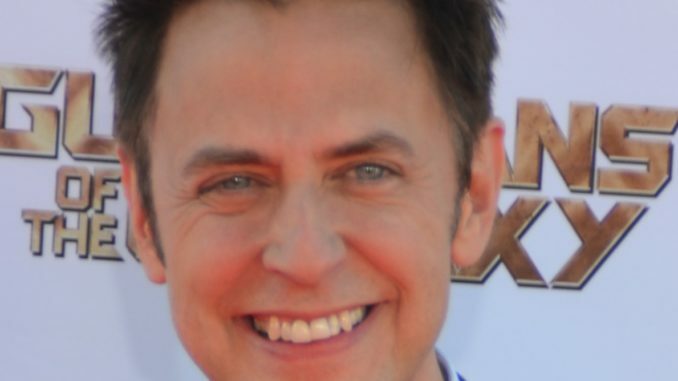 When Guardians of the Galaxy director James Gunn and Disney abruptly parted ways, the speculation was on that Gunn would end up coming to the DC universe. Now it seems that is the case, as the word is that Gunn has been chosen by Warner Bros./DC to write, and possibly direct Suicide Squad 2. Can the dark and violent world of the DC AntiHeroes become DCs version of the Guardians? Well, maybe not, but with Gunn at the keyboard, it’ll certainly get a lot lighter. Everybody knows the reasons why Gunn was removed as the director of Guardians of the Galaxy 3, so there’s no need to reflect on it here. So with Guardians 3 out the picture, what is Gunn’s next move? Well, Deadline is reporting that Gunn has been officially brought on to pen the screenplay for Suicide Squad 2 and may actually get behind the camera to direct it as well. The news is that DC had been courting Gunn for awhile, but that they had to wait until Gunn had settled all the obligations with Disney, who had unceremoniously fired him. 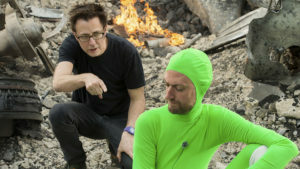 It hasn’t been a matter of tearing up the contract, certain negotiations had to take place in order for Gunn, and Disney to move on. Additionally, Deadline hints that Gunn has been given broad discretion to take the franchise into a fresh direction from the draft script penned by Gavin O’Connor. 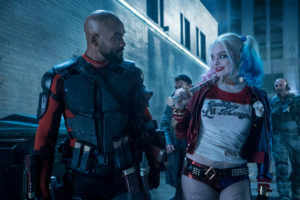 Though it tried be to a mix of what Guardians of the Galaxy is, but in a dark and violent Snyder-esque world, ultimately, the first Suicide Squad mix proved to be oil and water. 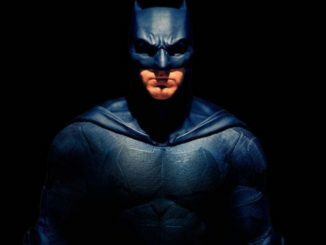 But for the sequel, and in the hands of Gunn, the embattled director will likely not only accomplish the goal, but also continue the transformation of the DCEU into a more action oriented, but family friendly tent-pole. 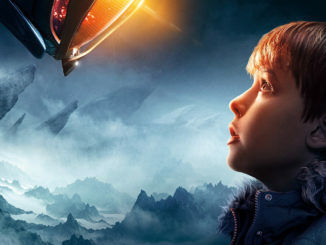 Though the original film faired rather well with $750 million worldwide at the box office, the $175 million budget, plus advertising and promotion meant that the film barely made it to sequel status. 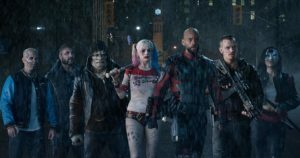 Were it not for the need to completely reboot the DCEU, Suicide Squad may not have gotten a second turn at bat. Of course it won’t be a Guardians clone by any stretch. While the film had lukewarm reviews and box office, it did catapult the career of Margot Robbie, before being nominated for an Academy Award based on her performance as Tonya Harding in I, Tonya. The film also boosted Will Smith‘s career a much needed shot in the arm after a string of box office bombs. But now DC is shying away from the dark and brooding Snyderverse in favor of a more optimistic spin thanks to Wonder Woman, and the upcoming Aquaman and Shazam riding the wave of that new action vibe. So, it stands to reason that DC and Warner Bros. would want to give Gunn the reigns and let him put his signature Guardians style vibe onto the franchise. While Gunn is busy rebuilding the next chapter of the Squad franchise, Margot Robbie is set to reprise the role of Harley Quinn in “Birds of Prey,” the DC property that focuses on the most dangerous women in Gotham City. After that, Robbie is also developing a film based on Mattel toys’ Barbie franchise, so if DC wants to get Suicide Squad 2 rolling, Gunn had better hit the ground running. As for Guardians? Well, the the good news is that while Disney is standing by their decision to move on without Gunn, his brother Sean is on the record as saying the Mouse House could eventually make the Guardians 3 sequel based on Gunn’s script, with Thor Ragnarok Director Taika Waititi being the best bet to take over. But for now, the talk is the Marvel franchise has been put on hold indefinitely.